TOKYO -- Suzuki Motor Corp. said on Monday it has agreed to buy 1.6-liter diesel engines from Fiat's powertrain unit to fit in a new car to be built in Hungary starting in 2013. The Japanese automaker has been buying 2.0-liter diesel engines from Fiat Powertrain Technologies since 2006 for the SX4 small SUV made in Hungary. Suzuki also produces 1.3-liter diesels under licence from Fiat Powertrain Technologies in India. 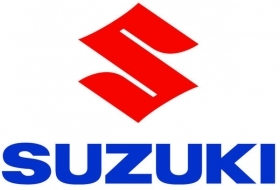 Fiat and Suzuki have industrial partnerships dating back 10 years. Suzuki builds the Sedici small SUV for Fiat in Hungary. Suzuki Chairman Osamu Suzuki and Fiat-Chrysler CEO Sergio Marchionne met May 25 in Turin. According to two people briefed on the matter, Mr. Suzuki offered to build the next-generation Sedici for Fiat. Production of the current Sedici, launched in 2005, ends in 2013 and Fiat's product plan, which extends until 2014, does not include a replacement for the model, which is a rebadged version of the Suzuki SX4, Europe's top-selling small SUV. Fiat is considering replacing the Sedici with a small SUV planned in 2013 by Chrysler's Jeep unit and code-named B-Jeep, but no decision has been made, a Fiat source said. Fiat has a contract with Suzuki to buy 20,000 units a year of the Sedici. In 2007, Sedici sales peaked at 31,855 units, but since then have been steadily declining, down to 16,505 last year, according to data from JATO Dynamics. Suzuki SX4 sales peaked at 50,354 in 2008 but declined to 37,517 units last year.